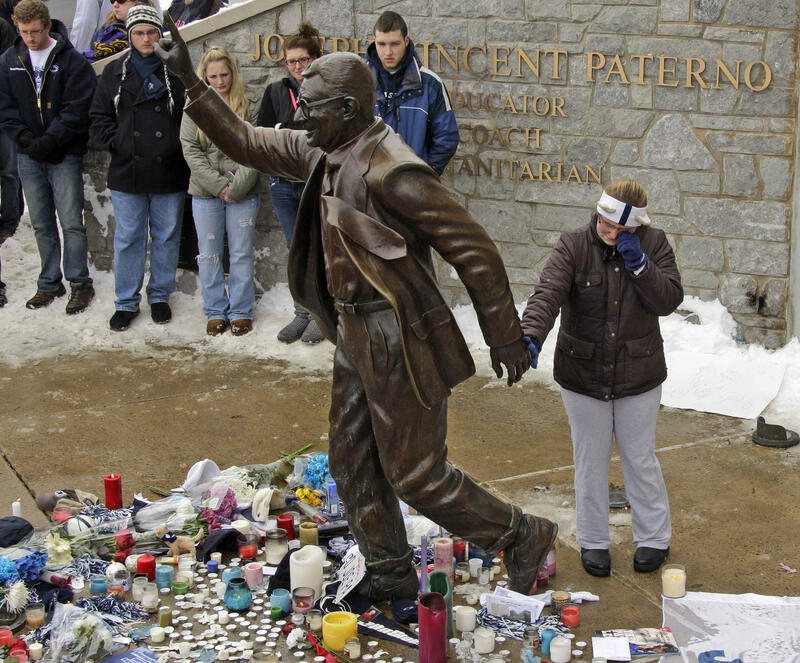 In this Jan. 22, 2012 file photo, a woman pays her respects at a statue of former Penn State football coach Joe Paterno outside Beaver Stadium on the Penn State University campus after learning of his death in State College, Pa. Paterno was 85. Davis says she’s received backlash from alumni, who argue Paterno’s long-time career and accomplishments at the university should be honored. 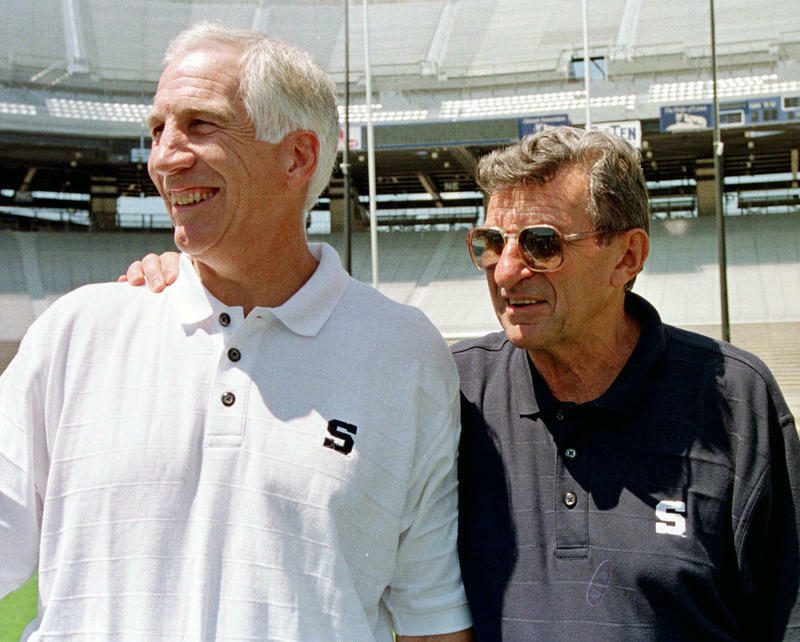 Penn State says the commemoration will focus on Paterno's commitment to student-athletes and academics, and highlights will be shown from Paterno's first game in 1966. 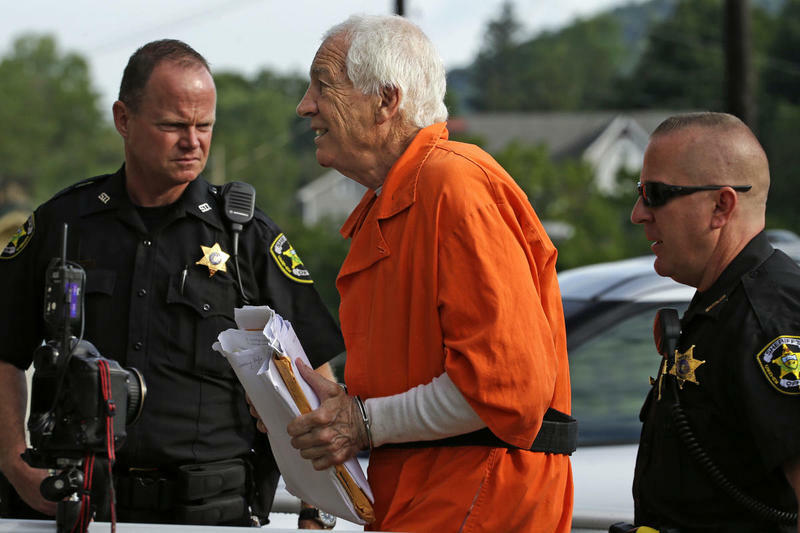 A grinning Jerry Sandusky, dressed in an orange jumpsuit, entered a Centre County courtroom Friday morning, waving to a small handful of supporters. 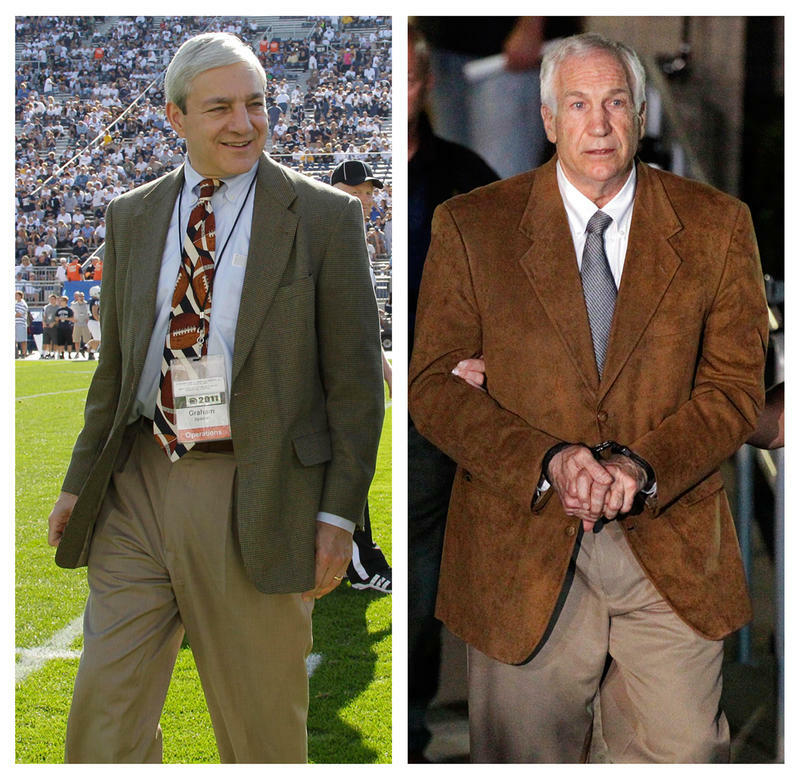 The former Penn State assistant football coach is almost four years into a 30 to 60-year sentence for child sexual abuse, most of which has been spent in solitary confinement for his own protection.